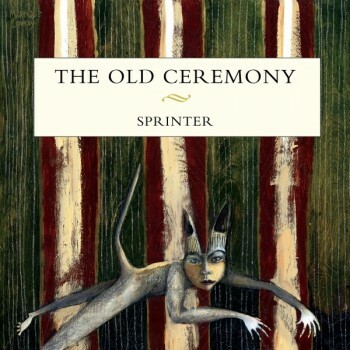 ALBUM REVIEW: The Old Ceremony, "Sprinter"
One of the band’s I’ve grown fond of over the last two or three years is Durham, North Carolina’s The Old Ceremony – I’ve seen singer/guitarist Django Haskins perform several times with the Big Star tribute – and this band makes wonderfully original, lush and depth-laden music. With Sprinter, their first new album in three years, they’ve hit a high-water artistic mark. Add to it of the luminaries who assisted on some of the tracks and the fact that it was recorded and produced by Mitch Easter at his Fidelatorium Recordings in Kernersville and you have a clear winner. Starting with “The Sprinter”, a slightly dark, tautly strummed slab of sound and fury, you’re wanting to catch your breath; “Live It Down” springs out at you with pop teeth and Brian Wilson-like melody and “Magic Hour” has a sweetly maudlin twang – these elements make this album not only brilliant for its crafting but it makes it interesting – it also features the bass and vocal harmonies of Mike Mills. “Mission Bells” has dynamic, image laden lyrics with a full-bodied, soulful, keyboard and angular guitar backdrop; “Fall Guy” once again is graced by Mike Mills (with a neat, sinister-sounding tune to carry it all along), while the closing track, “Go Dark” has orchestral arrangements scored by the irrepressible Chris Stamey and a wonderful exercise in vocal gymnastics (listen to those harmonies) and XTC-styled composition. Ten tracks, all shine end to end. Easily, this is one of my favorite albums of this year and I am hopeful that I have the chance to see The Old Ceremony when they head north. In the meantime, sprint to your nearest record store or the Yep Roc website and get this fine, fine album. New, delicious summer sounds from The Old Ceremony.